For about three years, the Nashville dulcimer community had the privilege of having Yoshie Kinefuchi join us in learning and playing the mountain dulcimer. Now living back at her home in Tokyo, she is sharing her love for the dulcimer with her Japanese community. Our concert last night (September 15 was a great success! We had a big audience; about 170 people in spite of rain. The feedback was very positive. They said the program was very good and our performance was excellent. The first part was the choir; we sang 10 Japanese songs. 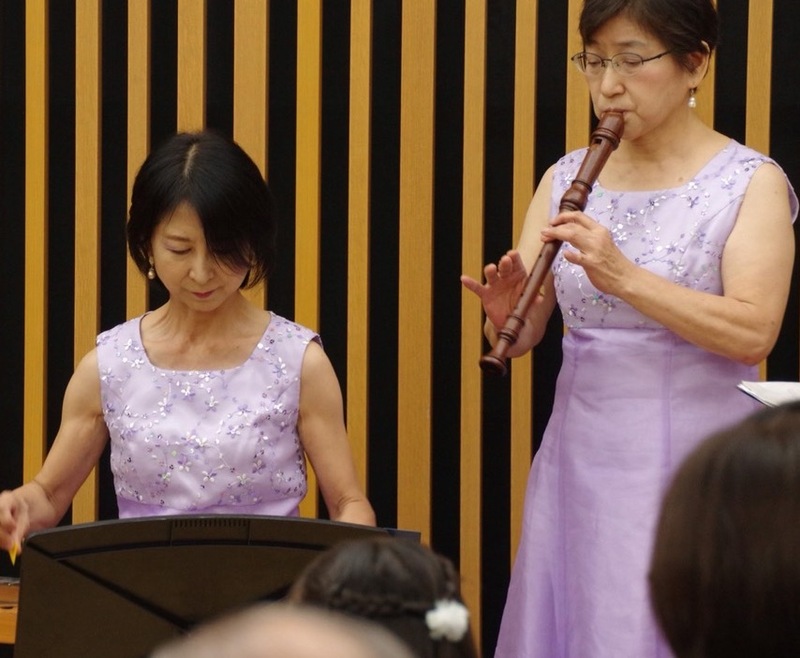 The second part consisted of a piano duo concert, country & folk music with dulcimer, viola and recorder, one Egyptian song, three songs for finale. I had the microphone before our performance in the second part and gave a brief introduction of the dulcimer: its history and structure, and how we enjoy it. The audience was very interested and listened to my explanation carefully. Some people came up to me after the concert to see my dulcimer up close and wanted more story about it. It was truly a delightful evening. Many people said they loved the sound of the dulcimer. So I guess we gained at least 170 new fans of the dulcimer in Japan! It was sometimes difficult for us to get together and practice regularly as everybody is busy in their own life, but each member practiced her part at home and tried our best to put them together in harmony. I suppose the concert was successful because we put our hearts together. We had a very good time. Here is some information on our choir: The name of our choir is "Soot El Wald" (meaning "Voice of flower" in Arabic). This is a sister group of the Japanese women's choir in Cairo that was established around 1990. At that time, there was little activity that Japanese women could enjoy there, so a few music-loving women got together and started a singing circle, and little by little more women came to join them. We used to practice once a week and sometimes visited local senior homes, schools and orphanages. Over the years, the members of the original group have returned to Japan one after another, and around 2010, we established a new group in Tokyo. So the members of our group are all returnees from Cairo. (Sadly, the original group in Cairo is no longer active due to security reasons over there.) 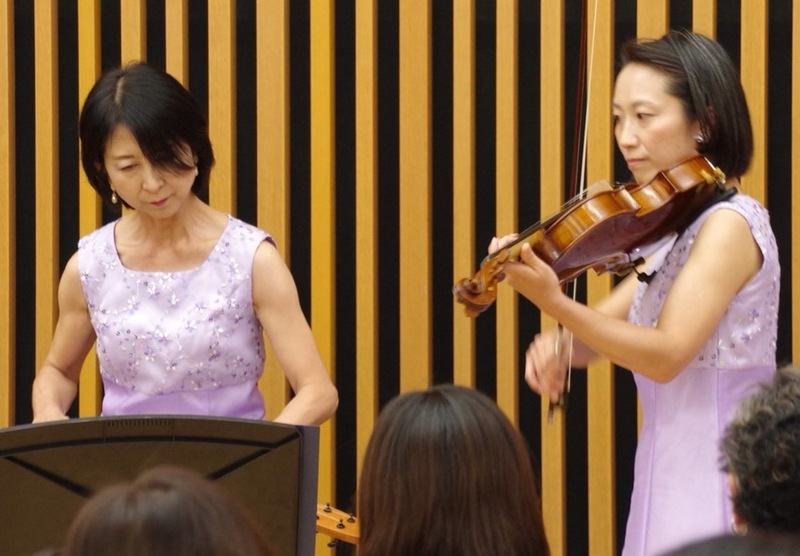 This year's concert was held at Suginami Public Hall in Tokyo on Saturday, September 15th. This was our second concert in Japan. You were asking about the place we had the concert. It is a concert hall called "Suginami Public Hall." It has a big concert hall, a small hall and a salon. We used the salon (the smallest space, accommodating approx. 150 people) for our performance. It has a wonderful structure and the acoustic is really good. Unfortunately the website is only in Japanese, but I hope you can get the idea of it. The gowns we wore are all hand-sewn by a friend of our member. We love the gowns too! Judy and Yoshie met for several sessions on Saturday mornings before the Tai Chi class began. After a few lessons Yoshie started playing regularly with the Twangtown Dulcimer Players. Now you know the rest of the story!